News Update: All of our members summited Everest Tibet in 2016. Good job Team! Now we are accepting applications for 2017 at www.EverestTibetClimb.com . Welcome to the team! We arrived in Kathmandu yesterday the traffic and chaos was a startling contrast to the sparse life at base camp. Our celebratory meal and awards ceremony was in a delightful roof top restaurant overlooking the Palace. It was good to be able to celebrate our 100% summit success still all together as a team. I hope that climbing to the top of Everest leads to more life successes. It has been a privilege for me to be part of such a team. For our last night in Base Camp, Keepa made a feast of chicken and pizza and a beautifully decorated cake that was all shared with the Sherpa’s in our tea house tent. We thanked them, because for sure without them our summit success would not have been possible. 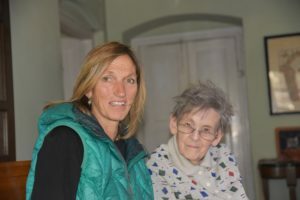 The next day was an early cold start to Shigatse. Towards the end of the drive we pulled up suddenly to help with a car – motorbike delivery van, accident. The motorbike driver was badly hurt and the doctor, the captain and myself set about stabilising him until a long awaited ambulance arrived. The doctor did a sterling job in stopping the bleeding with the Summit Climb surgical kit that I had never thought would be used. Well done Dave Ohlson. Last night it was long showers and comfortable beds at the hotel in Shigatse. 27 May – All back at base camp now. Some walked back yesterday some arrived this evening. The 21 km seamed like a long distance this time, were all looking forward to some recovery here and as we drive to Lhasa for our flight back to Kathmandu. 24 May – Second team all successfully summited. Everybody safe, planning to reach ABC 25 May. 22 May – First group reached camp 3 now snowing. 21 May – First team at Camp 2. Second team at North Col. Windy at Camp 2. 20 May – Alexander von Cramm, Anders Bergvall, Rob Mortell, Ry Fable, Jürgen Landmann, David Roeske and David O’Brien (Leader) at NorthCol for summit attempt on 23rd. Second Team will follow for 24th Summit. 19 May – We head up to the Northcol again tomorrow for our summit push aim to summit on 23rd. Wish us a luck for our team. 18 May – Arrive ABC yesterday. Collating various weather reports to optimize our summit opportunity. May 15 – Back from our rest at the delightful village of Tashi Zom. We had delicious food cooked by a very smiley husband wife team and it was good to be able to wander around with the local people. We head up to ABC tomorrow and wait for the final summit push. 12 May – Most of us have headed down to a lower altitude village to recover strength for two nights. 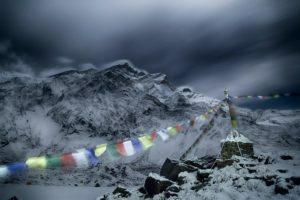 The ropes above 8300 meters/ 29,000 foots have not yet been fixed and we are waiting on confirmation of the date that this will happen, which is weather dependent. 10 May – We’re back at base camp having completed all our acclimatization. It’s time for a few days rest while we wait for the final section of rope to be fixed and for suitable weather windows. Its movie night again in our Tibetan ten, unfortunately someone choose a star wars spoof called space Balls. At least it’s nice and warm in here with the fire going, it’s a lovely atmospheric place to relax. 5 May – It’s a lovely calm sunny day at base camp. We’re having breakfast of porridge, granola, with eggs and toast to follow. After breakfast we’ll walk up to interim camp and then onto ABC. 2 May – Yesterday we got up early to head up the North Col but were met with a snowy morning which had a potential for unstable conditions on the icy head wall . I took the safe option to delay our climb and we have headed down the long walk for a few days rest in the comfort of Base Camp. 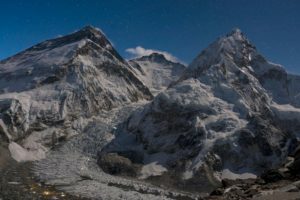 1 May – Second Team (North Col) reach Chinese Basecamp. All doing well. 29 April – Steve summit North-col Everest from North side. 28 April – Arrive ABC yesterday, very very windy. Everyone good enjoying plenty of food while acclimatizing. 26 April – We walked up to Interim basecamp yesterday half way to ABC. It’s been very windy today, had to re-built the kitchen tent several times. 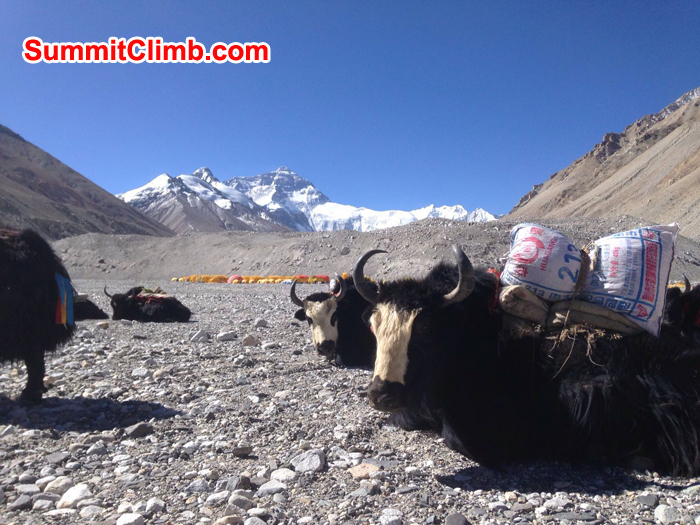 24 April – Our first yaks came today to start transporting our equipment to advanced base camp. We head off tomorrow morning. The weather has been sunny but very windy; the winds should decrease as we head up the Rombok Glacier. Another drive today took us up over two high passes and closer to basecamp. The hotel this evening in New Tingri is very comfortable and the evening meal included a good helping of fried chicken. We’re in Shigatse for the night with the one of the most splendid Monastery’s in Tibet. 17 April – We’ve arrived in Lhasa the spiritual seat of Buddhism in Tibet, and we have visited a few of the special places in the city. The hotel we are staying in is very comfortable and we are all enjoying good food and test. 15 April – So…. Our flight yesterday was redirected to Changdu because of bad weather at Lhasa airport. We had short overnight hotel stop before flying back to Lhasa this morning. It did give us the opportunity to see the Tibetan plateau in the splendid morning light from the plane window. 12 April – We stayed last night in a delightful lodge in a small hill village called Gandruk. This morning we woke early to a beautiful view of Annapurna South showing its majesty through the morning mist. Our walk took us through the forested foothills with deep red rhododendron trees in bloom. We then headed back to Pokhora to join the raucous Nepali New Year celebrations. 11 April – Hello this is David ,leader of the Everest Tibet and North Col expeditions. While we are waiting for our entry into Tibet to be finalised were spending a few days in the hills to get some exercise. We went by bus to the lovely lakeside town of Pokhara , and have this morning set off on a short two day walk in the Annapurna trekking area. Its good to be walking and enjoying the sight of spring flowers along the trail. We hope to fly to Tibet on the 15th.